Welcome to NoContractCellular.org where we publish reviews and comparisons of the best prepaid or no contract plans and phones to help consumers get the best bang for their buck. Learn about the different types of no contract cell phone plans. Compare and find the best one for your needs. Reviews and ratings of the best no contract service providers. Compare and find the best company your needs. What Are No Contract Cell Phone Plans? 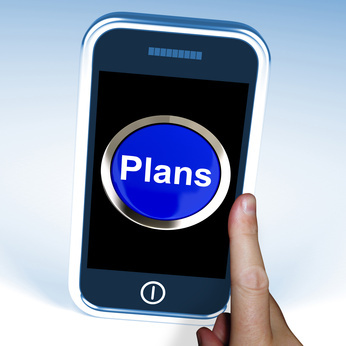 No contract cellular phone plans are plans that have no contract obligations. Unlike traditional cell phone plans, these plans will tether users to standard 2-year contracts. They are either pay as you go or month-to-month plans where users make ongoing periodic payments, as long as they still want to keep their service active. These phone plans are also much cheaper than what traditional contract phone plans cost. Save BIG on cell phone service cost. No contract plans cost less than regular contract cell phone plans. Being able to save thousands from switching to a no contract plan has prompted many to change to no contract plans. Light phone users could get away with paying under $10 a month for full cell phone services, while heavy users could pay $50 a month for an unlimited use plan. A modest $30/month savings translates to $720 in savings over a 2-year period. Regular contract plans include a cost component for the cost of the cell phone, resulting in higher outlays each month for users. You can think of the higher monthly costs as covering the cost of phones over time and compensation for the risks the cell phone company takes on if a customer defaults. Keep the same phone number. Users are free to switch their cell phone numbers from a current carrier to a no contract plan provider. The freedom to switch a number to another provider is mandated under the FTC’s wireless local number portability guidelines (more details). No contract plans were mostly prepaid plans in the past. That means that users would purchase their plans or airtime upfront, rather than get a bill at the end of the month. This approach not only keeps costs low for users, it also means there are no surprises with large inadvertent charges. However, in recent times, mainstream companies like Verizon, AT&T, Sprint, and T-Mobile have also made their standard plans no-contract. No credit check requirement. Prepaid phone plans do not require any credit check. A lot of consumers like this because there is no hard credit pull that could affect their credit scores, or worse, prevent them from getting approved for cell phone service. Cell phone users can expect reliable, clear connections and high data speeds from these plans. The operators are termed MVNO (Mobile Virtual Network Operators). They do not operate their own smaller cellular networks. Instead, they have agreements in place with the large network operators like AT&T and Verizon to channel connections through the big network’s towers. 3G and 4G LTE speeds are standard. The MVNOs administer their differentiated cell phone service plans on the front-end using a lean and mean prepaid pricing model. For example, TracFone, the largest MVNO in the US, frequently connects users’ cell phones through AT&T and Verizon networks. Pricing structure and pricing varies, be sure to compare. Prepaid plans without contracts come with different pricing structures and features. Some plans may seem more expensive on a per unit (cost per text) basis, but users actually save money with them as they do not require high payments for a huge bundle of talk/text/data or airtime credits. Take a little time to compare amongst a few companies to pick the best plan for your needs. You can start off by looking at this plans comparison chart here. Get Cell Phone or Mobile Hotspot Service for FREE! Join 1 million others. What Cell Phones Can You Use With A No Contract Plan? iPhones and Android Phones or Regular Feature Phones/Non-smartphones.. These phones can purchased directly from a no contract phone provider at competitive prices, or users could add a no contract plan to an existing cell phone they own. To learn more, check out our No Contract Cell Phones guide. Inexpensive Androids For users who do not need the latest iPhone or Samsung Galaxy S#, or who just need a regular cell phone, a good Android phone can often be gotten for $50. Slightly dated versions of iPhones or Samsung Galaxy S series phones are available at a fraction of what they cost when first introduced. 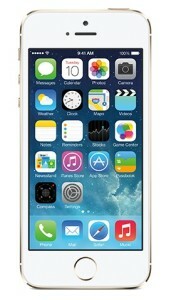 This makes it very inexpensive to buy a good no contract cell phone. 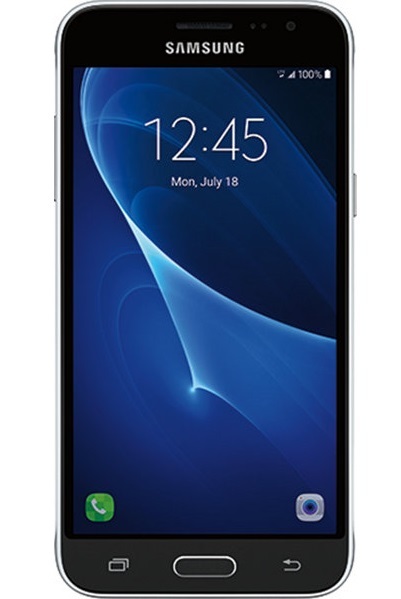 Latest models of the latest Samsung Galaxy S series and iPhones are available at good prices, cheaper than what it would cost on a “lease” contract. Depending on the company, you can also bring on your own unlocked phones (eg. Tracfone or Straight Talk). The best part is that they can be operated at low monthly costs with no contracts. For more information on choosing cell phones, check out either our Feature phones/Non-smartphones guide or No Contract Smartphones guide. iPhones & High-end Androids require additional upfront expense. Users who like to have newer cell phones can expect a higher upfront expense. With no contract plans, consumers are expected to cover the cost of their phones from the get go. An iPhone or Samsung Galaxy S# that could cost $150 with a 2-year contract may require an outright $500 purchase payment from a user. Although this could make the deal look less attractive, most consumers are aware that they will be saving a lot more than the $350 difference in plan fees over time. When you break the cost down, saving $50 a month in cell phone bills would result in $600 in savings in just 1 year. 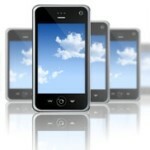 A larger portion of the cost of owning a cell phone has more to do with the plan costs rather than the phone costs. Use your current cell phone. Consumers who like their current phones may also be able to switch its service to a no contract provider under their “bring your own phones” (BYOP) program. That way, they will be pairing their current cell phones with a no contract plan provider. Not all cell phones are compatible, though. Cell phone providers will often indicate that they accept only AT&T or “Brandname” cell phone, or unlocked phones. Straight Talk or Net10 seem to have the widest flexibility since they work with all 4 major network carriers. For consumers without much of a preference on what cell phones to use, buying a prepaid phone directly from the phone plan company is an easier and cheaper approach than unlocking an existing phone. It’s also less hassle than getting an old phone to sync up to a provider’s network to make it work. That said, “bring your own phones” is a good alternative option, especially for more expensive cell phones or special phones that users already own and want to use. To get started shopping for phones, check out our Best Smartphone deals. Determine what your phone usage needs are. To choose a good cell phone plan, start by estimating what your phone usage needs are. If you are an infrequent cell phone user, a Pay As You Go plan will probably work best. If you need to use your cell phone a lot, a high volume monthly or unlimited use plan would make more sense. You may also want to factor in your international calling needs. Check out the No Contract Plans Comparisons guide to learn more. Once you have narrowed down the best plans that suit you, consider a few companies that will provide you with the type of plans that best matches your needs. Compare both their service and phone options. No contract phone companies have different selections of smartphones and basic or feature phones. You definitely want to choose a company that provides you suitable phones at the right price points. Before you sign up, read up on their background to make sure you are dealing with a reputable company. If you intend to use your own phone, verify that the no contract phone company offers a “bring your own phone” (BYOP) or “bring your own device” (BYOD) option. Some of the best no contract phone companies include TracFone, Straight Talk, Boost Mobile MetroPCS and Virgin Mobile. These are the most established companies offering prepaid no contract phone plans. Over the years, they have proven themselves in offering value and clear connections to millions of users nationwide. Besides these established majors, two newer companies also stand out. One is Republic Wireless, which offers a cheaper hybrid phone plan that will connect users through wireless wifi networks (where available) instead of regular cellular networks. Another is Ting Mobile, which gives users the freedom to configure their own plans. Both these options have their pros and cons, but they offer another perspective to no contract cell phones plans. The no contract wireless market is competitive and growing. More and more companies (MVNOs) are jumping into the no contract foray even as companies face stiff competition. There is a tendency for companies to consolidate and become folded into larger outfits, such as TracFone’s acquisition of Page Plus Cellular, or AT&T’s acquisition of Leap Wireless. Going with a stable brand name that has a large user-base may help to provide some stability in plans and pricing for the long term cell phone user.